Morning! 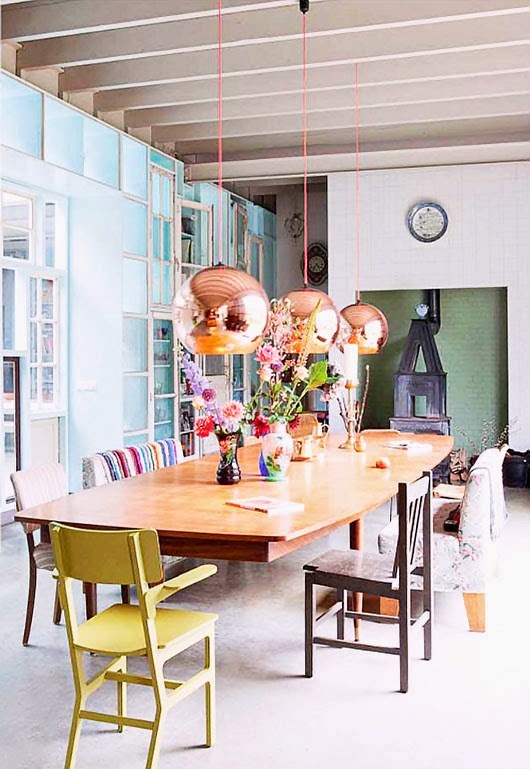 I've been umming and ahhing about whether or not to feature this home as it's been published across the blogosphere at an alarming rate. But then I thought, what happens if you miss it?!! 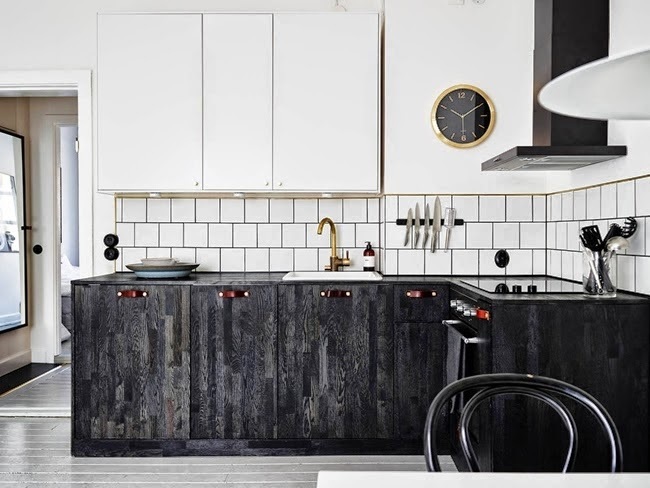 Everyone needs to see this home with it's black, white, brass and copper colour scheme and everything else on trend in the Scandinavian interior design world right now. 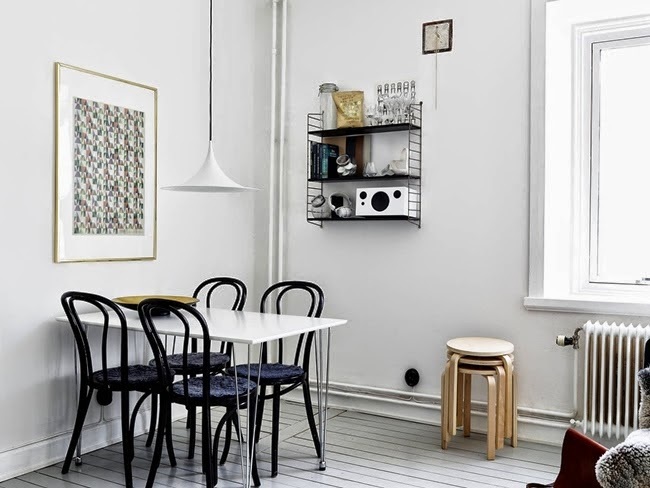 So here it is, a monochrome Gothenburg pad in all it's glory, up for grabs through Stadshem. Who's on the case?! What do you love most about this home? 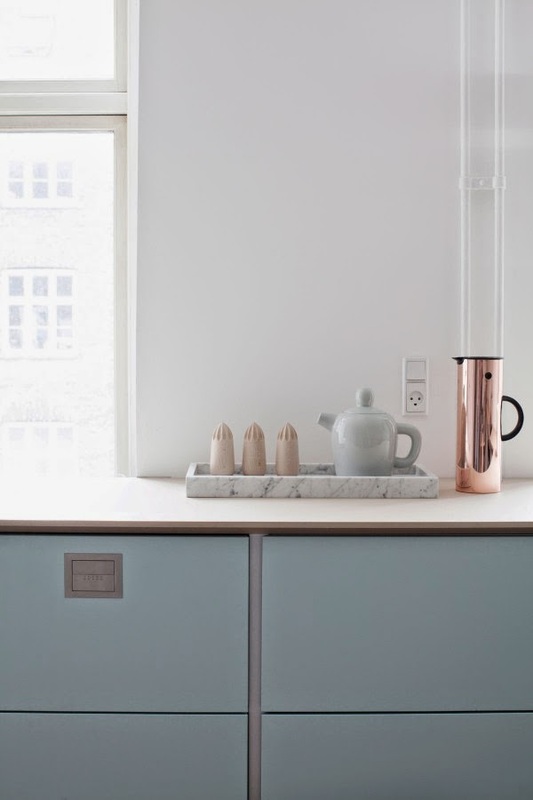 If you're into the copper trend here are a few other spaces you might feel inspired by: a minimalist apartment in Berlin, inspiration from Bloomingville and the beautiful apartment of a Swedish designer. 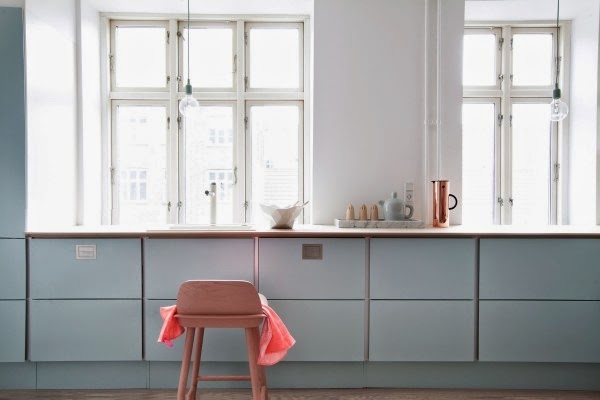 I do love a touch of copper right now. Tonight I'm very sad to be missing the launch party for new book Design Bloggers At Home. Luckily my lovely parents will be attending on my behalf - and I've asked them to saya big hello to the author Ellie Tennant, photographer Rachel Whiting, publishers Ryland, Peters & Small and all the talented bloggers who also appeared in the book! I hope you have a great night, sorry to be missing it. 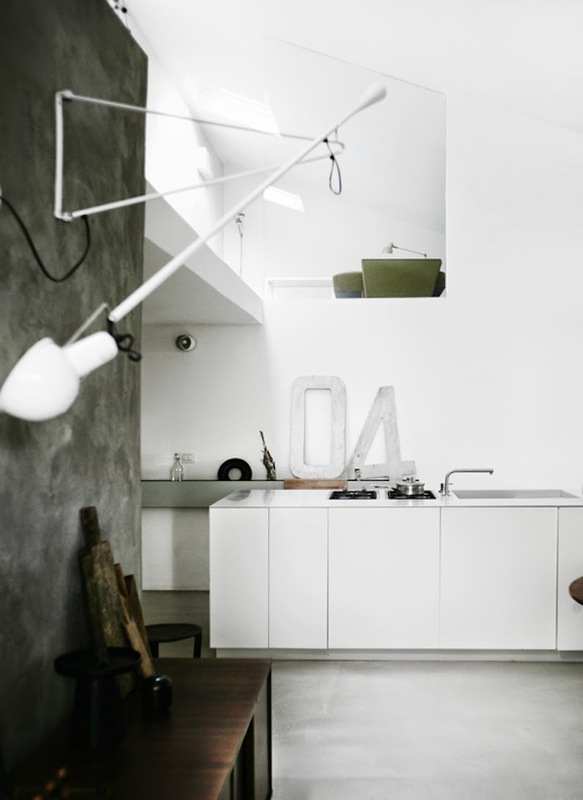 I'm so over excited about today's home tour: an incredible Italian loft created by architects Amorfo. 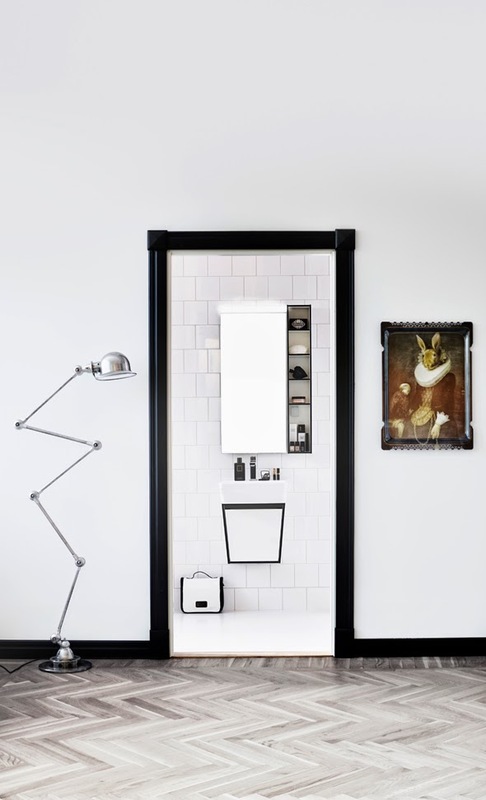 It's a little like a museum - every piece has been carefully selected for it's aesthetics whether mid-century, industrial or designer - and exhibited against a backdrop of concrete / white walls and floors and angled ceilings. 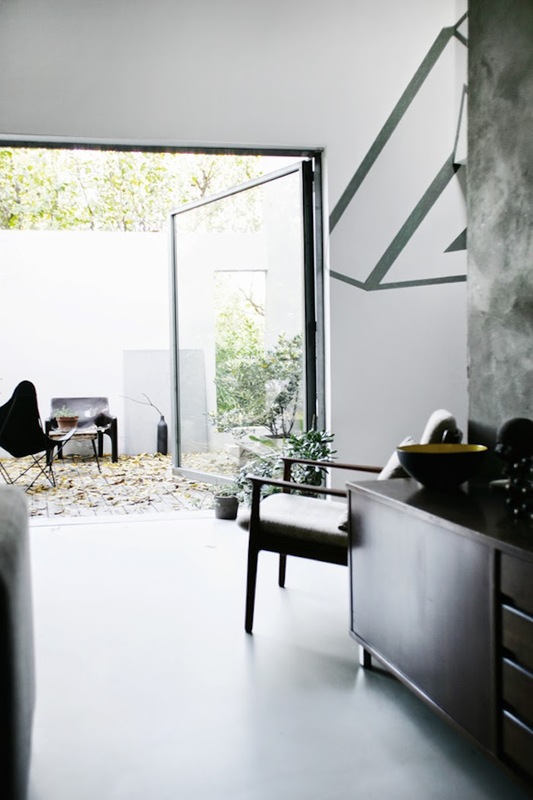 Modern day architecture and minimalism at it's best! 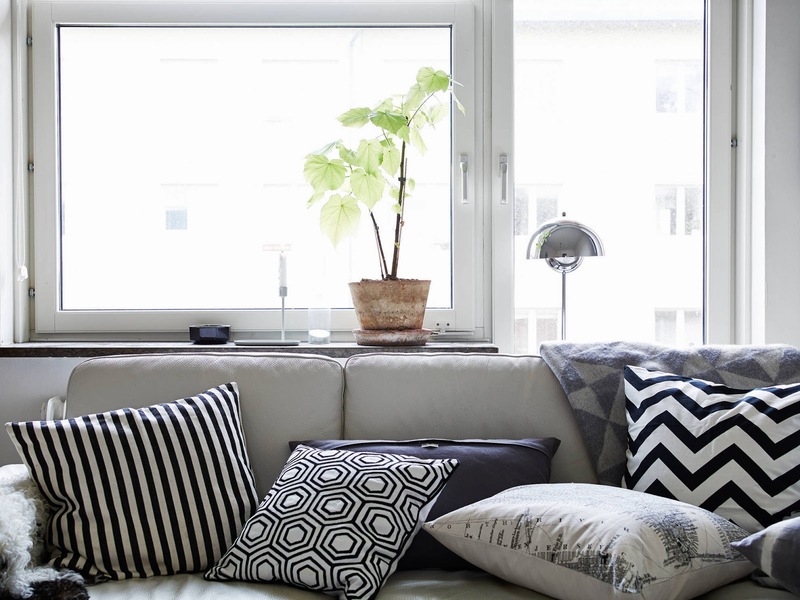 I would add soft textiles such as colourful rugs, throws and cushions to make it my home. How about you? Is this your kind of style? Anything that stands out to you in particular? 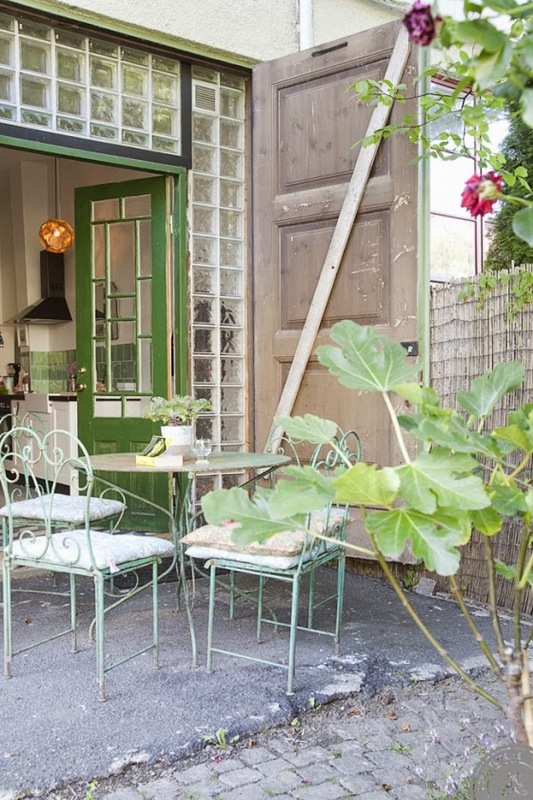 I love the huge glass door which opens the entire space out onto the terrace! You can see more pictures of this space here if you'd like. 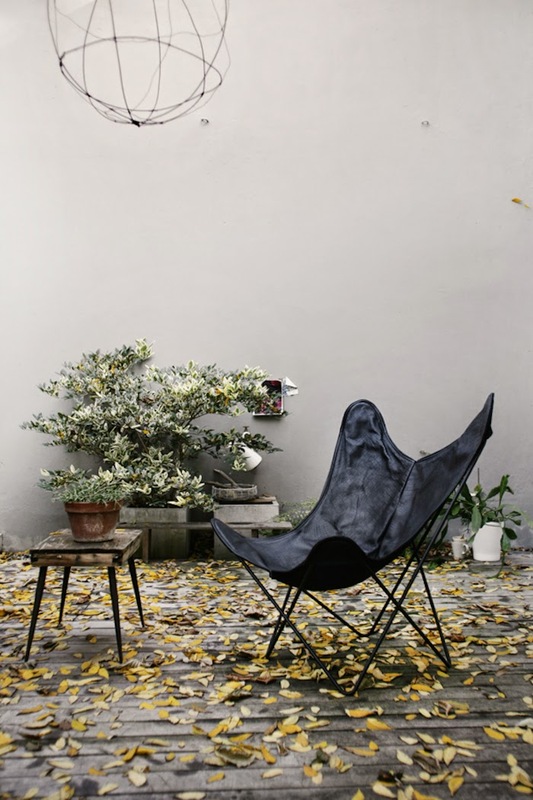 I spy: the Flos 265 wall light, the Vitra Wire Chair DKR-5 is similar and one of my favoruite outdoor pieces - the Butterfly chair. Beautiful mid-century pieces like this teak side-table at LiveAuctioneers. Hello Monday! How was your weekend? 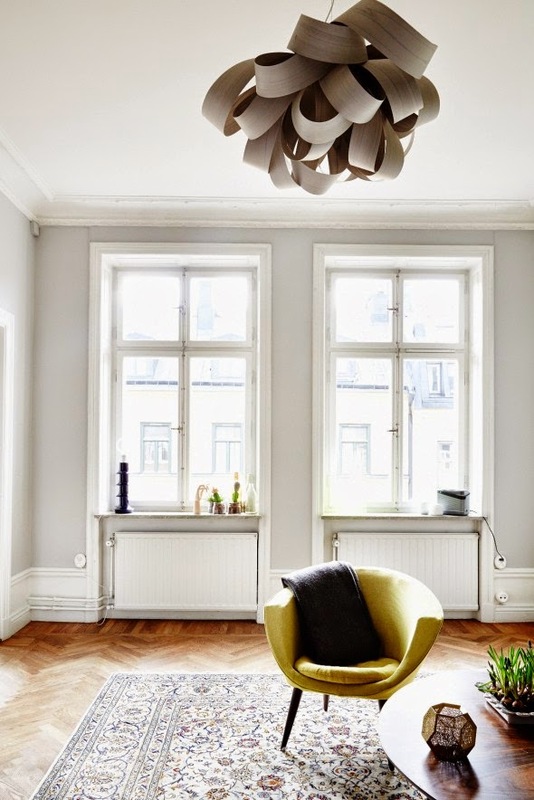 I thought I'd kick off the week with something light, bright and airy. 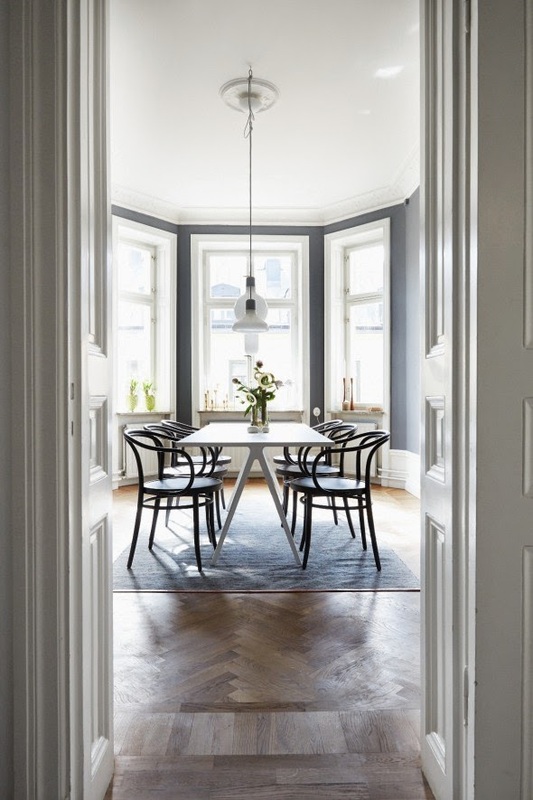 A classic white and grey Swedish apartment with light wood floors and white walls owned and styled by Hanna Malmberg. I could kick around here this lovely sunny Monday morning, how about you? 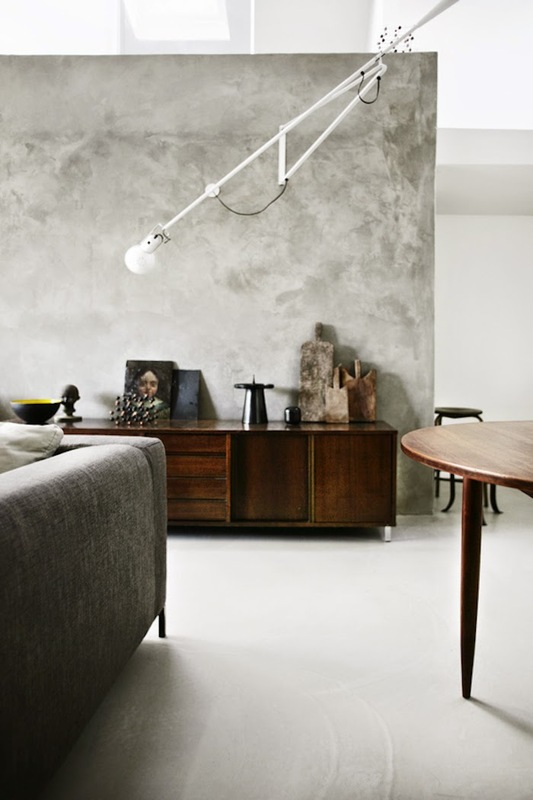 So beautifully styled by Stadshem for the sale don't you think? 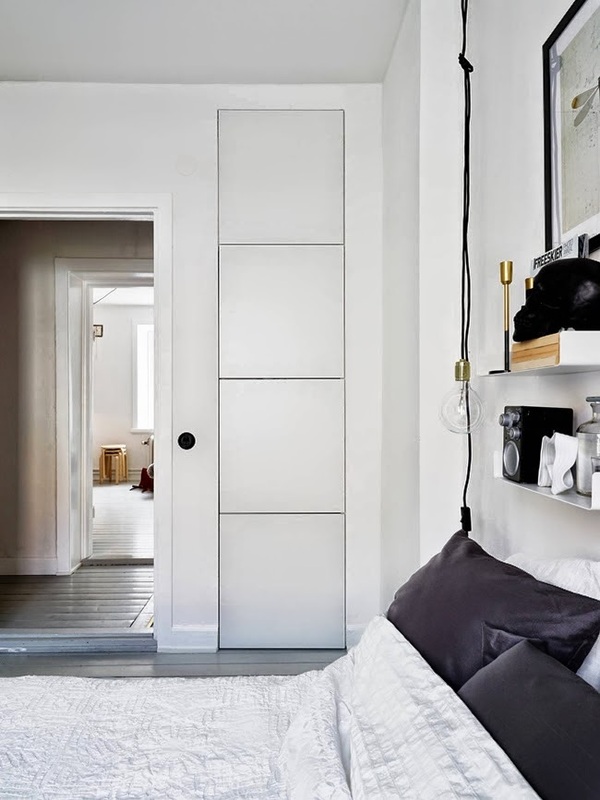 I am seeing the Muuto Dots Hanger everywhere right now. 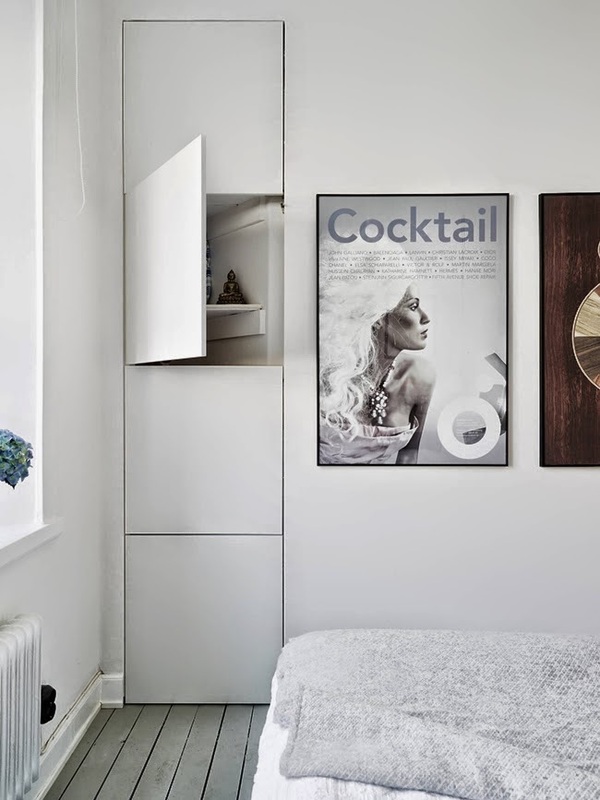 Here, they've used the small and medium natural oak version to add interest to a wall in the bedroom. 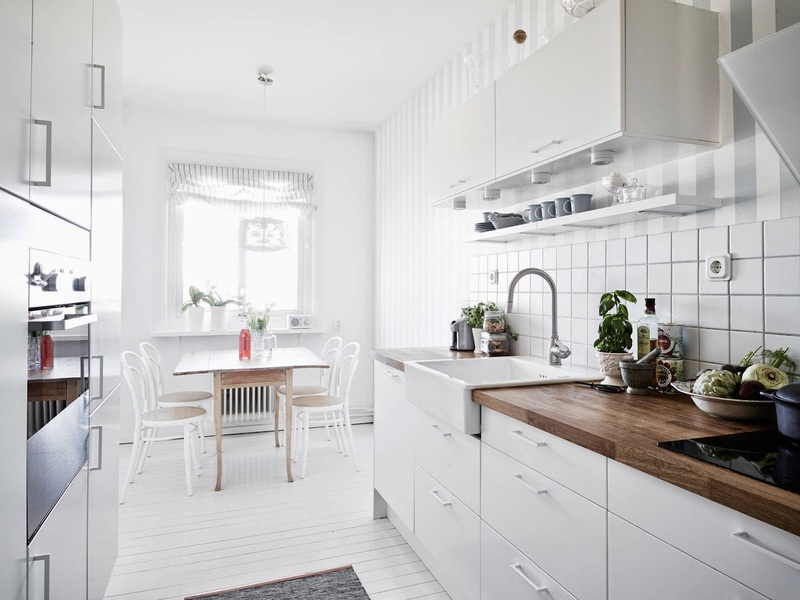 I love the white floor in the kitchen (practical though?). I was in my neighbour's home over the weekend (it's like something out of Birds of a Feather in my neighbourhood!) and noticed she'd painted her wood floor white over Easter. The floor was a tightly joined smooth oak finish before so I wasn't sure how it was going to turn out - but it looks incredible! 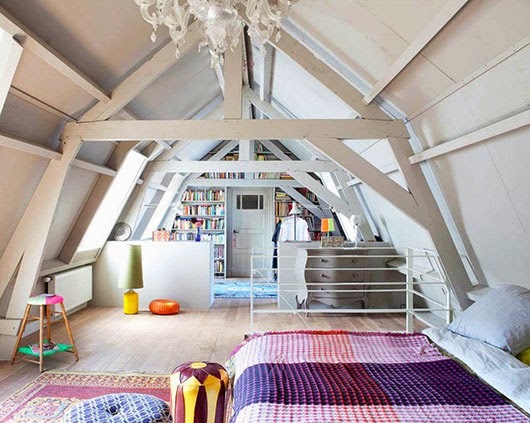 I'm wondering if I should paint my bedroom floor white now, what do you think? 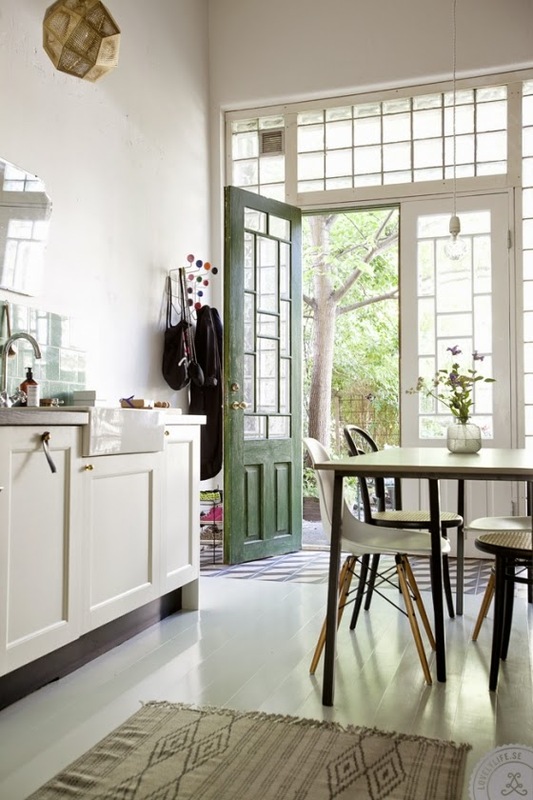 Other beautiful white and grey spaces include the home of By Nord owners, the fantastic home of a creative Finnish duo and a wonderful Danish home. 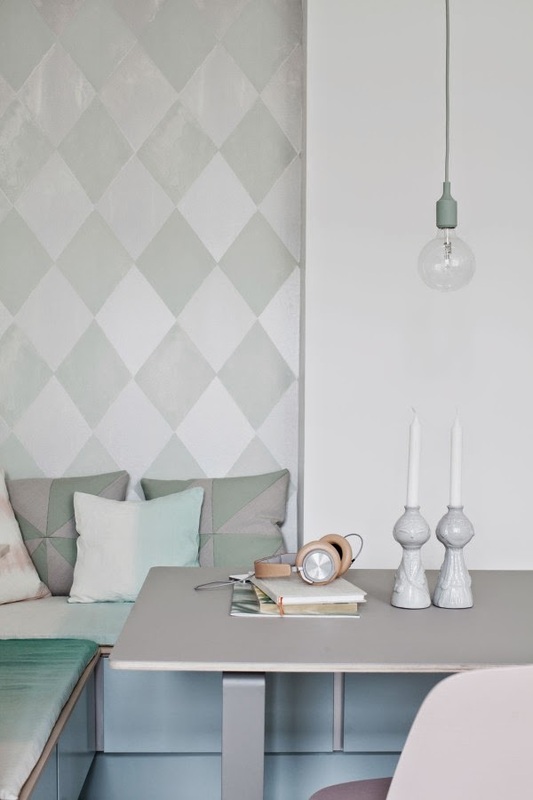 Today I wanted to share some of the recent work one of my favourite Swedish interior stylists - Johanna Pilfalk. 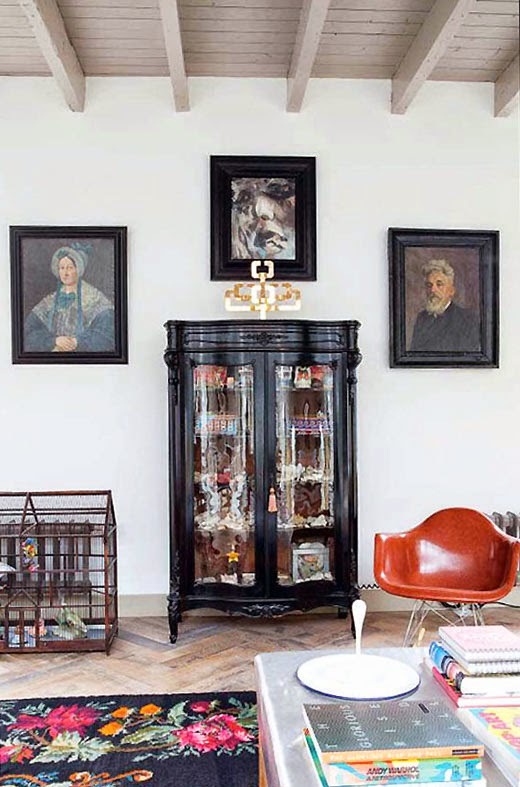 I absolutely love her style (see more of her projects here) and of course how she always works with fabulous spaces. The first three shots are from the same dining space (what a room?!) which featured on the recent front cover of Plaza Interiör. Undeniably delicious and a perfect way to end the week don't you think?! 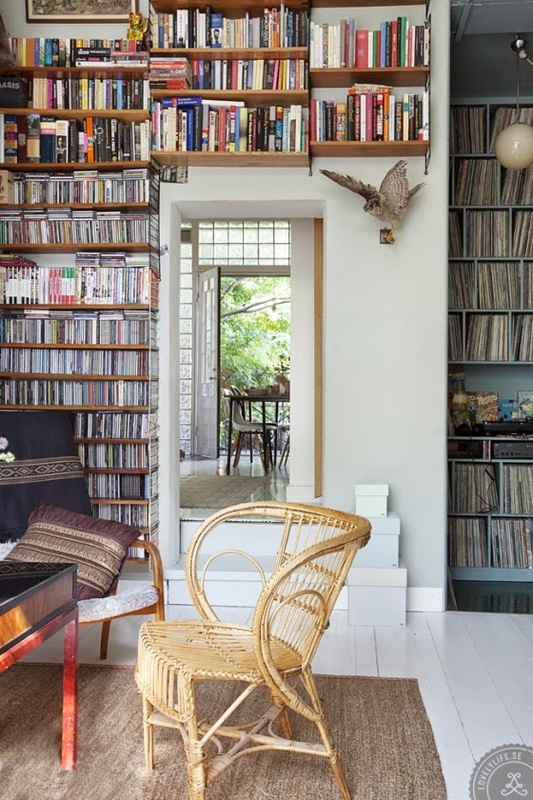 Anything you love in particular about these spaces? 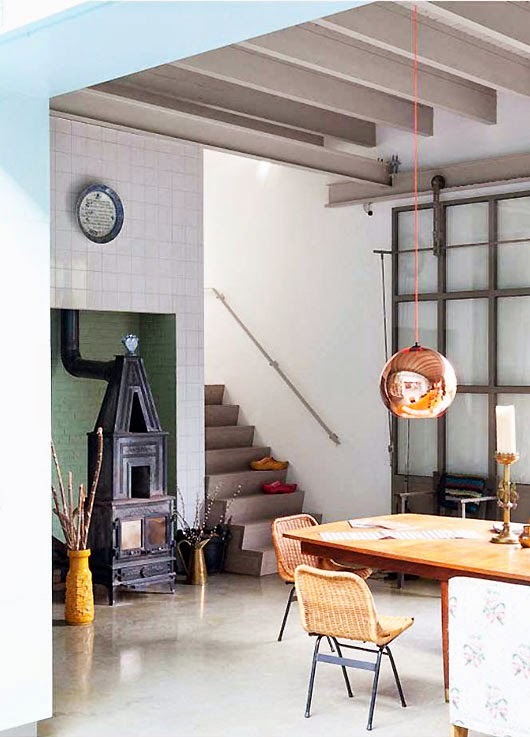 code MYSCAN), Loft Zig Zag floor lamp, Muuto dot hanger, and Tom Dixon etch tea light holder. 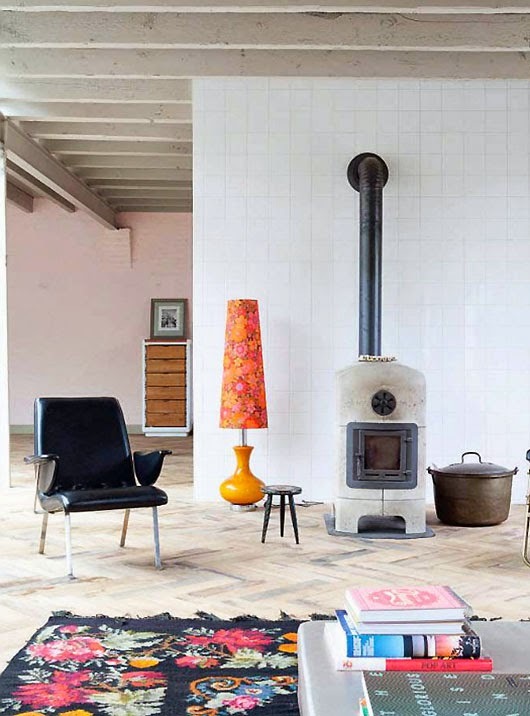 Interior stylists naturally nearly always have fantastic homes. 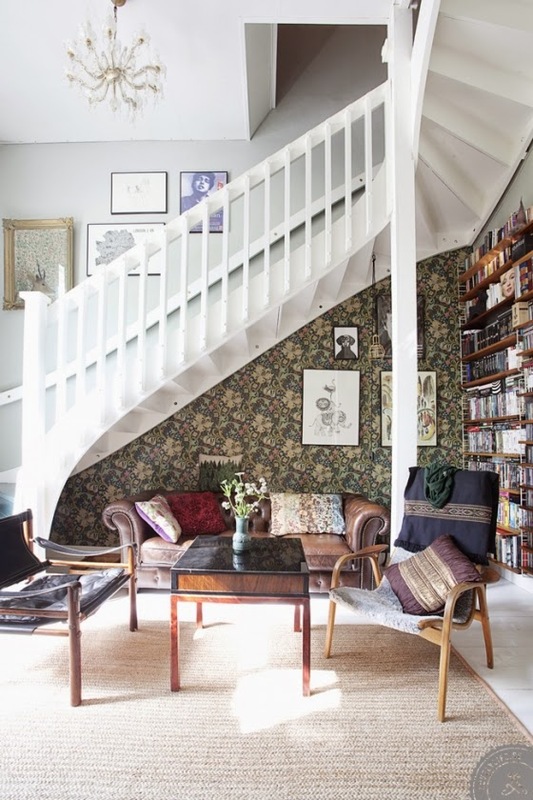 Some of my favourite home tours include the Stockholm apartment of Sasa Antic and the eclectic Borås home of Johanna Flyckt Gashi. I could move in to either of them tomorrow, how about you?! I hope you have some great plans for the weekend? It's going to be hot, hot, hot here in Southern Sweden. Actually that's an exaggeration, it's going to be 15 degrees. But hey, I'll be out enjoying it like it's the height of summer! 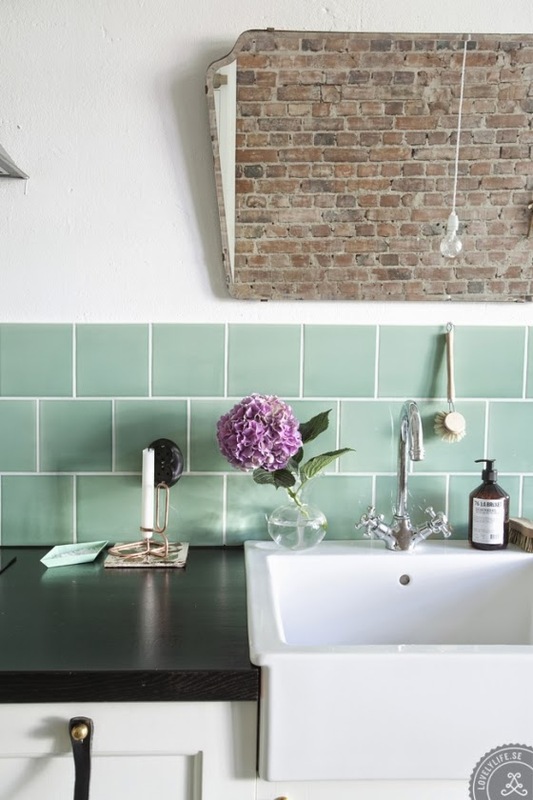 Located in Gothenburg, Sweden, this home belongs to Cattis, the blogger behind Another Side Of This Life, her husband Robert and daughter Stella and has been beautifully captured by Lovely Life. 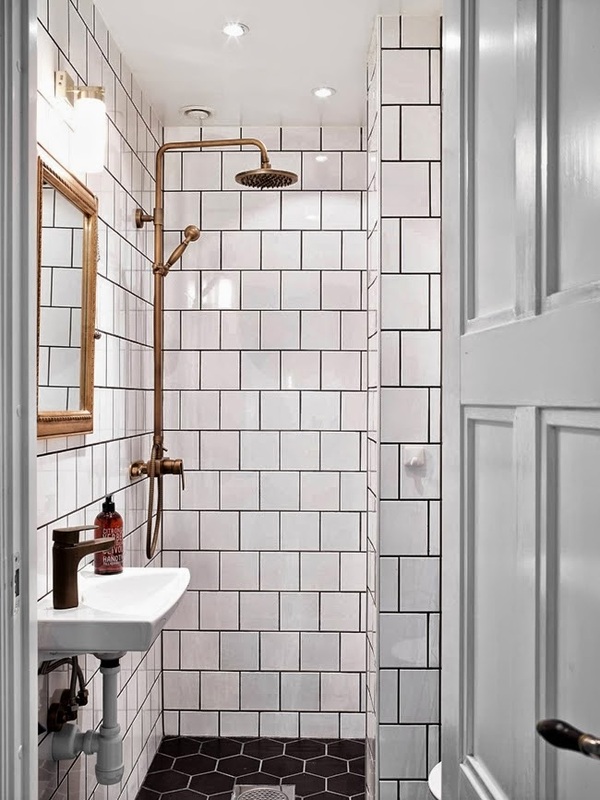 I can spot the Swedish style (it's in Gothenburg after all) but their's a definite English stamp to it too, which is probably why it resonates with me so much. 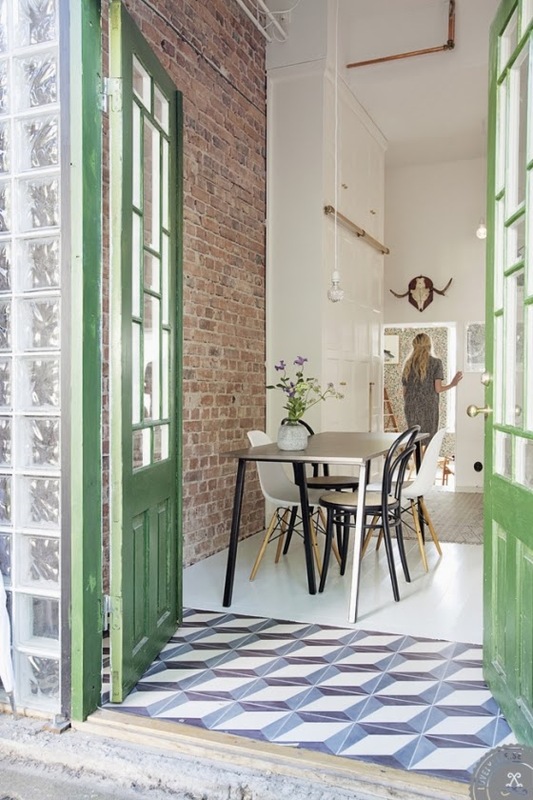 Believe it or not it's actually an apartment rather than a house! For more pictures and the complete interview click here. Cattis can also be found on instagram (@annacate). I'm also loving the art photography. 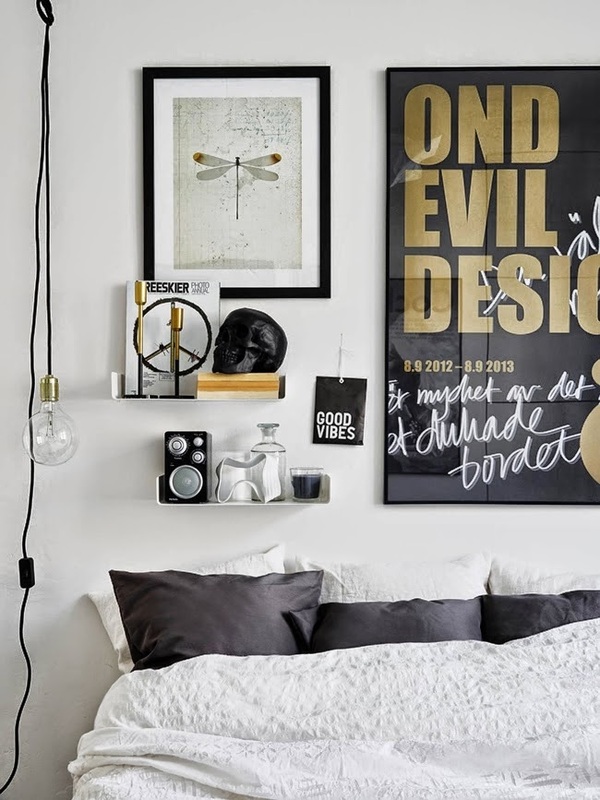 The poster above the bed is from Moderna Museet but sadly they don't have a web shop. For other art photography try Eye Poetry for cool city scapes and The Print Atelier for prints by a whole host of photographers. 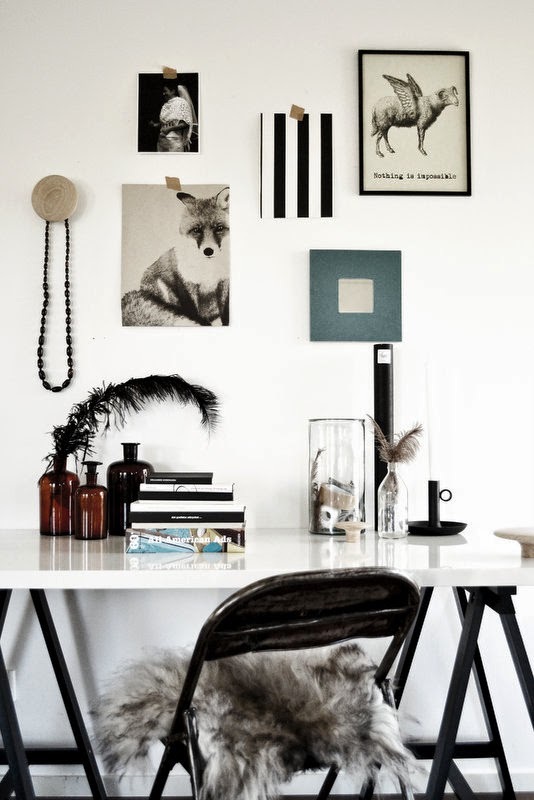 More fab monochrome home inspiration here, here and here. Oh and even children's room's in black and white here and here. What's your take on black and white? 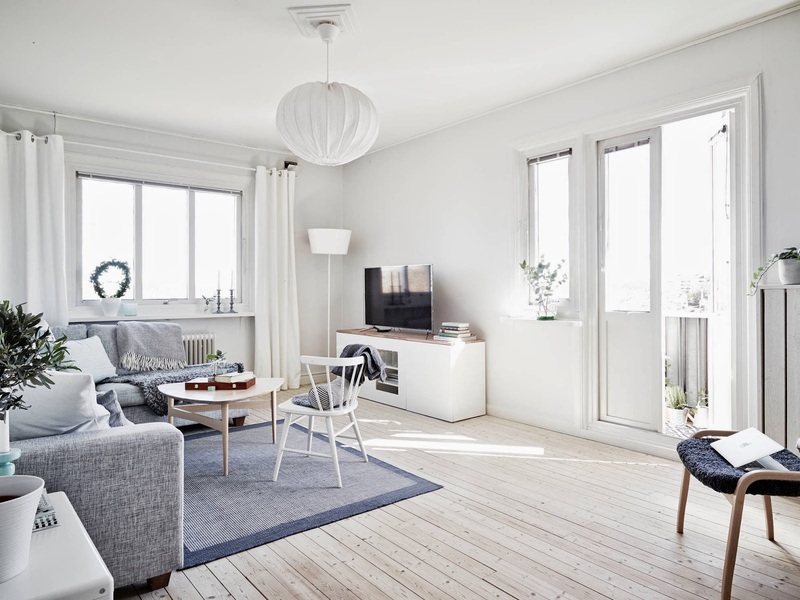 Do you like this apartment? 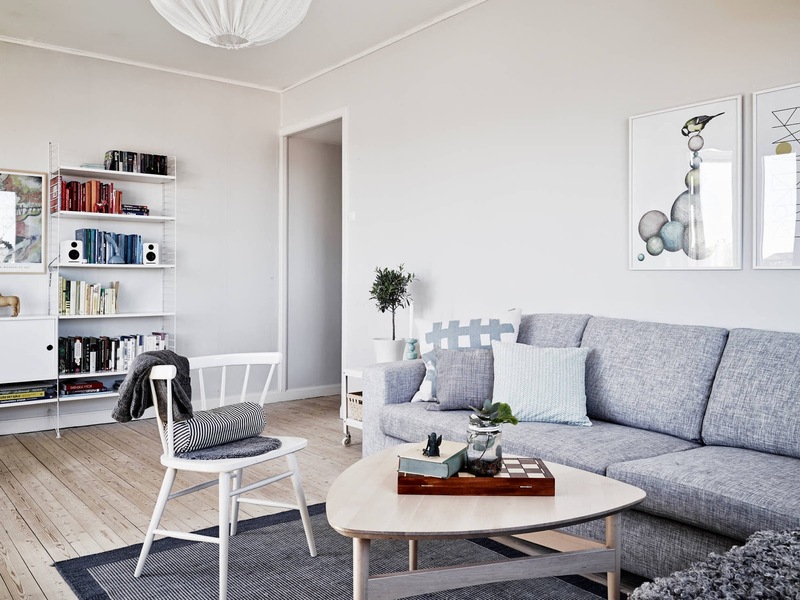 When it comes to Scandinavian style decorating people tend to go for the all white look, monochrome, dark moody hues, pastels or bold brights. Do you have a penchant for one of these? 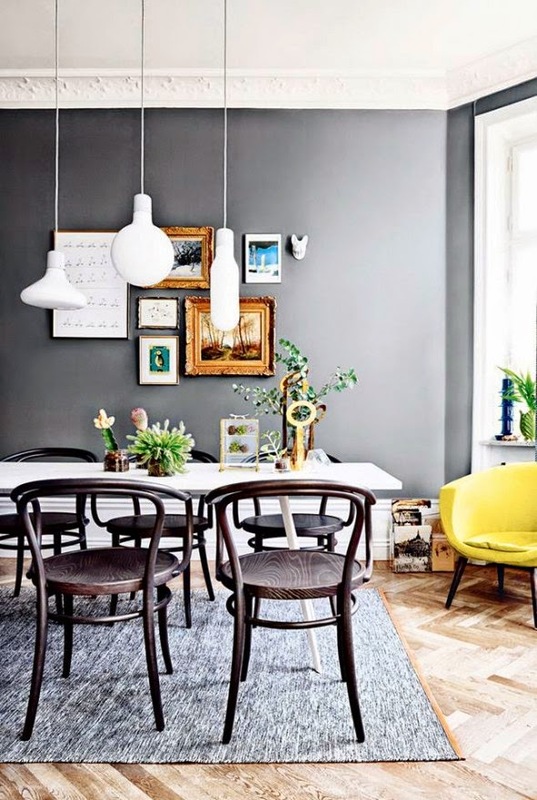 In my home I tend to veer towards black, white and pastels although I do sometimes wish I liked bold brights! 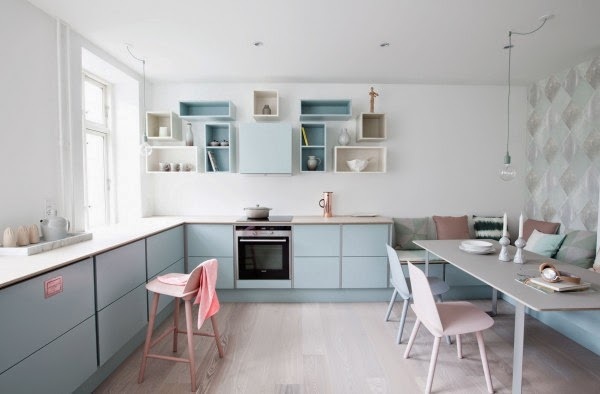 This Danish kitchen in the home of Julie and her daughter spotted on Boligciousblog has ramped up the feminine style with an entirely pastel kitchen. Could you go for a look like this? 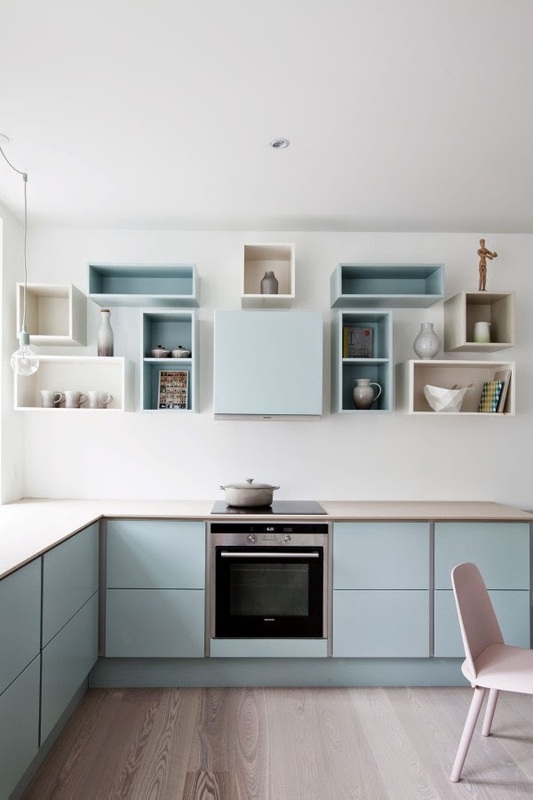 The kitchen is from Tvis and available in a tonne of different colours. 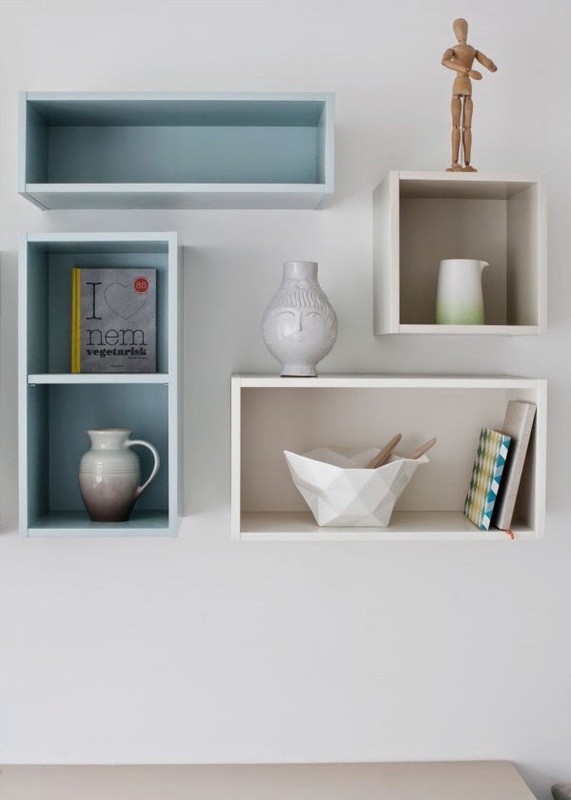 The owner is clearly a fan of Muuto too (who isn't?!) 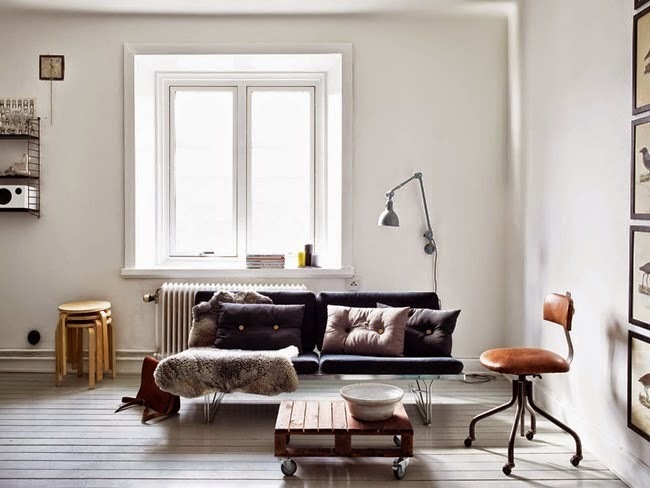 as I spot the E27 pendant light, nerd chair and bar stool and the mini stacked shelves are similar. 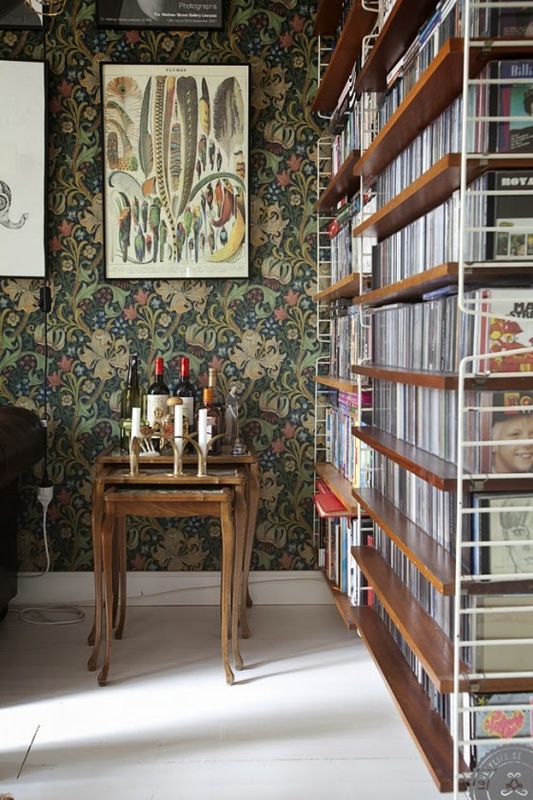 I don't recognise the pattern on the wall - is it painted or have they put up wall paper? 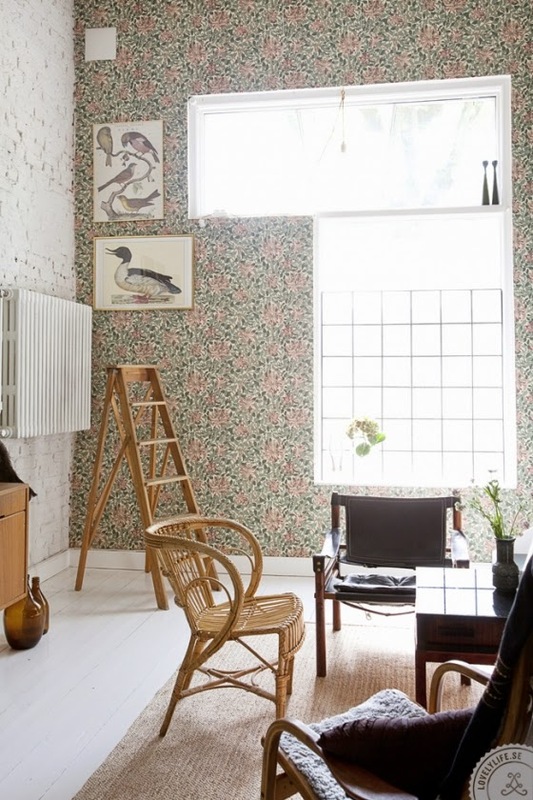 The Ferm Living Harlequin wallpaper is fairly similar. 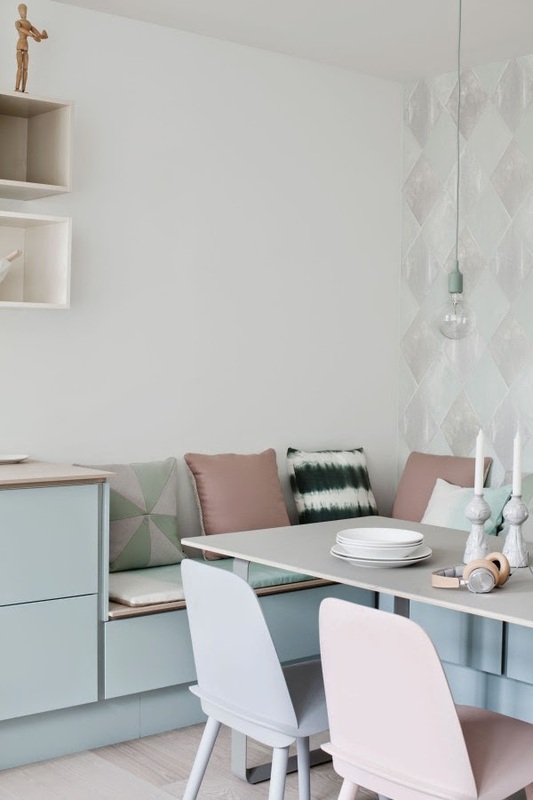 For more pastel inspiration (it's easter after all!) 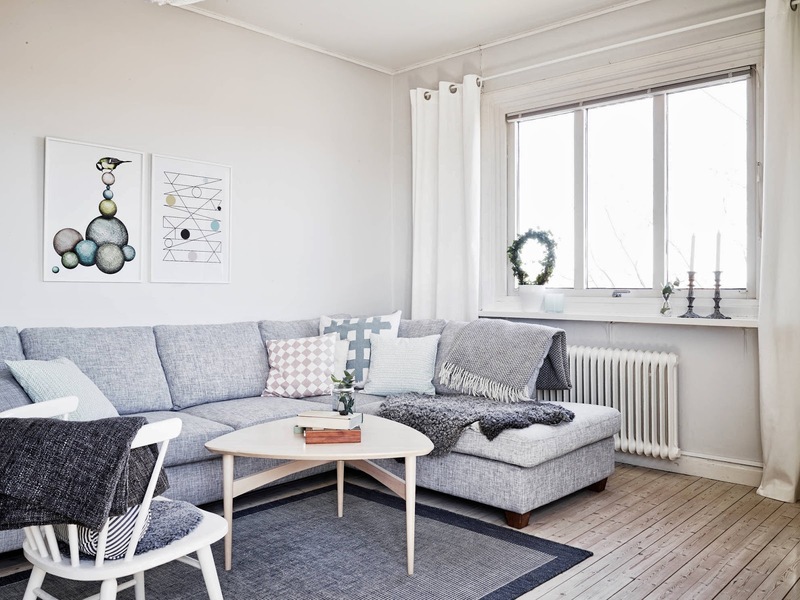 check out this romantic Swedish home, a light and airy Dutch house this stunning sitting room in the home of a Danish designer.